Williams has worked hard to earn itself a name among the forces to be reckoned with in the piano market. Contending with the market giants like Casio and Yamaha hasn’t been easy. But Williams is slowly gaining its place among affordable piano brands. But, how does this keyboard fare in the industry and what are our honest opinions about it? Being a less popular brand, we are pretty sure you’re going to be wondering what the story is all about? Don’t worry, we have a lot to share. And when we’re done, the decision will be yours. But first, let’s start with a quick overview. As the name has probably hinted, this is the second Allegro keyboard created by Williams. The first, the Allegro 88-Key Hammer Action Digital Piano, wasn’t such a hit with most customers and its market response was poor. But with a great entrepreneurial spirit, Williams didn’t give up. Instead, the brand went back to the drawing board and began to make some upgrades. And that was how the Allegro 2 came about. 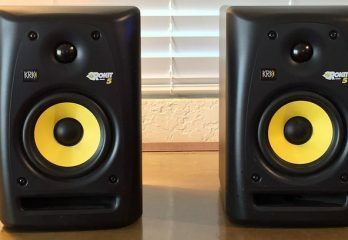 Some of the major complaints customers had about the first Allegro were the low-quality sounds and key responsiveness. Many found both features poor, hence the reason sales dropped. Based on this feedback, the manufacturers decided to do some upgrades. In fact, they completely re-engineered the entire piano. 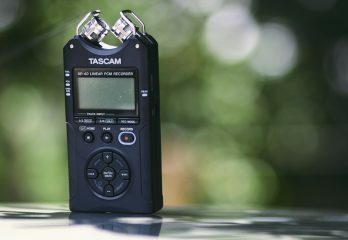 Adding more interesting features like USB connectivity, and an improved sound engine. Its release was first announced back in 2015. And even though it still skimps on some features, it is a great instrument and a major improvement from the first Allegro. For one, Williams outdid themselves in the key department of this piano. We would have been perfectly content to find semi-weighted keys on such an affordable instrument. However, these keys come fully weighted. And that’s just one aspect. There’s so much more awesomeness to take in from the Allegro 2. 88 fully weighted keys with hammer action. Pressure and velocity sensitive keys. 10 instrument voices including Digital Piano, Classic Piano, Synthesizer, Organ, and more. 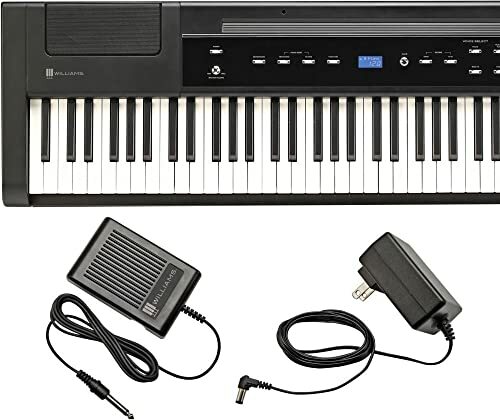 Connectivity: USB/MIDI port, headphones jack, and a jack for the sustain pedal. 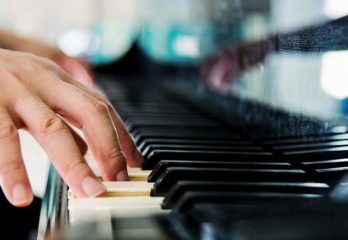 Free trials for online piano tutorial with purchase, but no demo tracks. Sound effects: Reverb, modulation and chorus. Dimensions: 57.9 x 16.3 x 9.4 inches. The Allegro 2 comes with many major improvements over the Allegro. 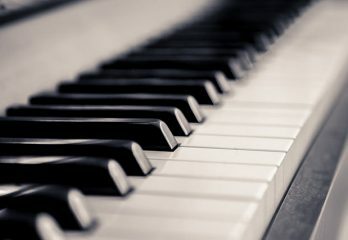 Let’s start from the beginning with how the piano looks. Williams decided on a completely novel design for the Allegro 2, pretty similar to what it uses on the Legato piano. The Allegro 2 looks far more sophisticated than the Allegro. Really solid and elegant with its beautiful matte finish. It is also pretty lightweight, which is always nice. Thanks to its lighter weight, this piano is a good choice if you need a piano for home use. It can be placed just about anywhere. And you can also easily move this around, whether from room to room, or from practice to gig, or practice to home. All these controls are pretty straightforward and intuitive even for a beginner. Another really impressive feature is that the Allegro 2 actually comes with an LCD display. This is a function you don’t often find on cheaper keyboards. Yamaha’s P45 and P71, for instance, do not have any display. You also get 6 buttons which help you navigate the ten instrument sounds available. A button for the Record and Sound modes, Split/Layer modes, and for effects. By the way, the effects include chorus, modulations, and reverb. There’s a back panel behind the keyboard which contains the ports for connectivity. There’s a port for USB connectivity and MIDI too. There’s also another port for a sustain pedal. This jack also detects polarity automatically as well. 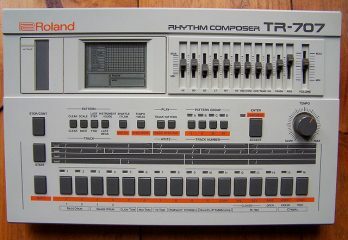 And you can also use it to connect an expression pedal if you want to create organ sounds. Of course, you’ll also find a jack for headphones and stereo outputs. And let’s not forget the socket for connecting the adaptor. Okay, what would an upgraded piano be without an improved sound? The Allegro 2 comes with a more robust library than the Allegro, containing 10 high-quality instrument sounds. This produces far nicer sounds. There’s a concert grand piano sound which was sampled using 3 different layers of velocity and produces a great tone. And two basses – one acoustic and one electric. The Allegro 2 allows you to layer two different sounds at once. And if you don’t want to layer, you can also split the keyboard into two halves and play two instruments at once. One with each hand. For instance, you can play bass on the left half, while you play piano on the other half. Pretty neat, huh? The polyphony count on the Allegro 2 is 64. So generally, beginners shouldn’t have issues with dropped notes. Even though pianos within this price range usually come with a 32 note polyphony, we still feel that a 64 count is a bit low. But, it’s all good, though. The Allegro 2 comes with 88 fully weighted keys. This is very impressive but there’s a small catch. Even though they are weighted, it doesn’t come with a ‘proper’ hammer action. So, it might not offer the best experience ever. But, regardless of that, the Allegro 2 still offers decent enough keys, especially when compared with other keyboards in this price range. If an amazing feel on the keys is of utmost importance to you, then the Casio PX 160 remains your best bet at this price range. If you want something better, key wise, than what the PX 160 gives you, then you’ll have to get yourself a bigger budget. You could add reverb which comes in 8 different types. And to make things more interesting, you can change the depth of reverb you select. There’s also a chorus effect with 8 different variations. 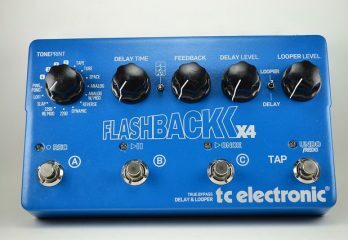 You can also add modulation such as a vibrato, or a rotary speaker emulation. And after developing your custom tone with all these effects, there’s a record/playback feature for you to record it and play it back. And then there’s the metronome for keeping in time. The metronome range goes from 20 to 280 beats per minute. 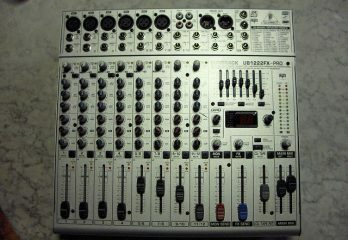 Lastly, you can use the Allegro 2 as a MIDI interface using the USB port. This allows you to connect this piano to your personal computer, iOS device or Macbook. 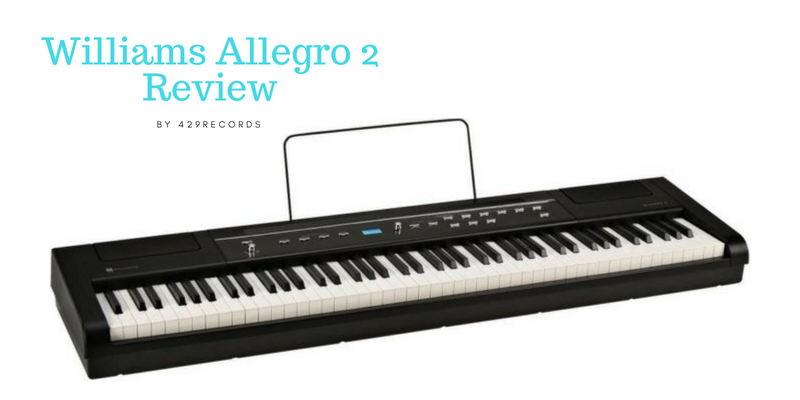 It might not be quite in the league of the Yamahas and Casios quite yet, but the Allegro 2 makes a worthy contender. 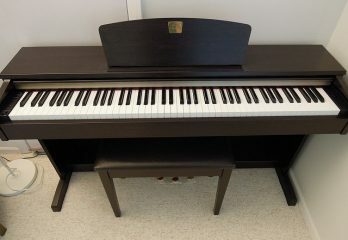 88 weighted keys, decent speakers, and great control features make this really affordable piano an excellent choice… especially for the beginner. Is it true that the Allegro 2 could have been better? Yes. But at this price, Williams did a great upgrade, we can’t wait to see how good the Allegro 3 will be?